ipsy Archives - Hello, Kristina! Ipsy Glam Bag Review: May! 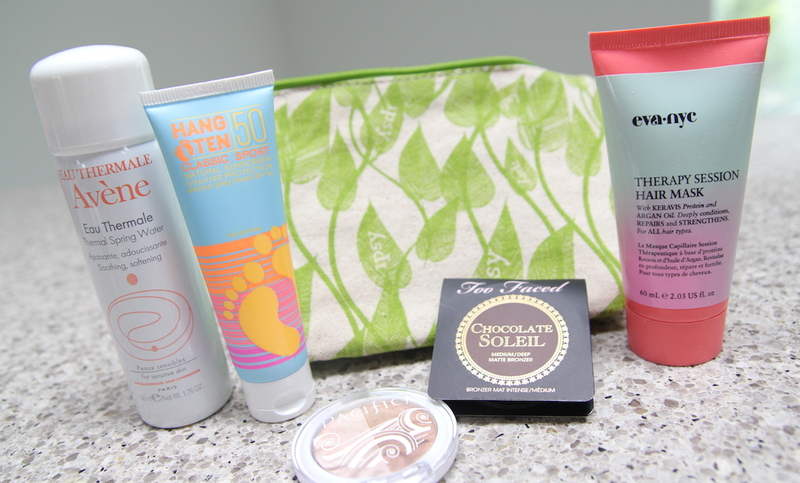 Somehow I think I accidentally skipped last month’s Ipsy bag and never got a review up, and since we’re well into June – I didn’t want to make the same mistake with this bag! Especially since it’s a good ‘un. First I’ll start with the bag itself… it’s one of my favorites to date! It’s soft and has a gorgeous design and it feels really summery. Unlike some of the slightly more plastic-feeling bags, this one just has that “natural” and “simplistic” vibe. I can definitely see myself using this one often for overnight trips or just for tossing in my purse when I need to bring a few products with me for whatever reason. I really appreciate that Ipsy makes the bag an important part of the presentation, and I use all my various bags for tons of different things. Avéne Thermal Spring Water: This was a funny item to get in this month’s Ipsy bag. Generally I would have been like “wtf this is just a can that sprays water on your face” but I got it right in the midst of my horrendous sunburn – and I can’t tell you how amazing it felt on my burnt skin. That’s not to say a spray bottle filled with water couldn’t do the same thing but having water in aerosol form during a sunburn was kind of magical. I can’t see myself singing this product’s praises on any sort of normal day, however. If your skin isn’t burnt to a crisp and crying out for the gentle mist the Avéne Thermal Spring Water can offer… it’s just water in a can. Too Faced Chocolate Soleil Matte Bronzer: I’m gonna be honest; I’m still not totally certain how to wear bronzer. And this particular bronzer seems extremely dark, in my opinion. I read that a good bronzer should only be about two shades darker than your actual skin tone… I feel like if I used this one, it would look like I rubbed chocolate all over my face. So I haven’t tried it yet. I do like Too Faced though, so I’m sure I will figure out something to do with it. Hang Ten Natural Sunscreen in SPF 50: Similarly to the Thermal Spring Water, on any normal day, this would just be a tube of sunscreen. But because I started this summer off with the Worst Sunburn Of My Life, I was happy to receive anything to help prevent it happening again. This is pretty basic sunscreen, but the packaging is cute and it fits in my purse, so kudos to ipsy for keeping our skin safe and beautiful this summer. Eva NYC Therapy Session Hair Mask: I think this is the third hair mask I have gotten from Ipsy in the past few months. This isn’t necessarily a bad thing, since it’s been sort of nice to try out the different brands to get a sense for which ones I like. I wouldn’t mind getting a little more diversity in the products I receive, but that’s not to say I don’t like hair masks – I just think three is a little excessive. They all do basically the same thing. This one claims to repair and strengthen (which is something I’ve been looking for in a product since I have naturally fine and sort of limp hair) so we’ll see if it delivers! Pacifica Natural Beauty in Duo 1: A cute little eyeshadow duo! I’m always down for more simple base colors to toss in my makeup bag, and this one did not disappoint. The shadows have just the right amount of shimmer/sheen, they work nicely together, and the packaging boasts the product to be cruelty free – which is always a plus. That’s something I often need to look up myself when I get Ipsy bags in the mail so I appreciate it when companies put it right there on the label. Despite sometimes being displeased with a certain product here or there, I’ve been extremely happy with Ipsy and it’s a lot of fun getting a bag full of surprises each month. If you’d like to join in the fun, sign up here! 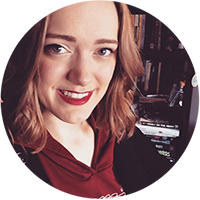 Let me know if you’re already subscribed and which products you got last month! Ipsy Glam Bag Review: September! 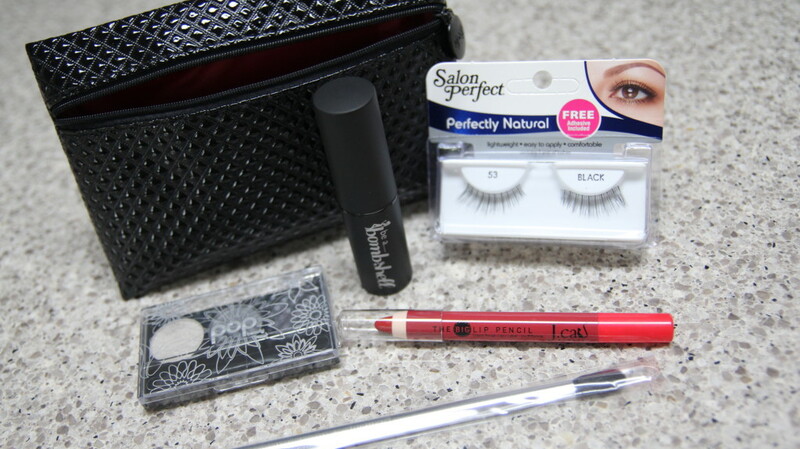 I got this month’s Ipsy bag in the mail! 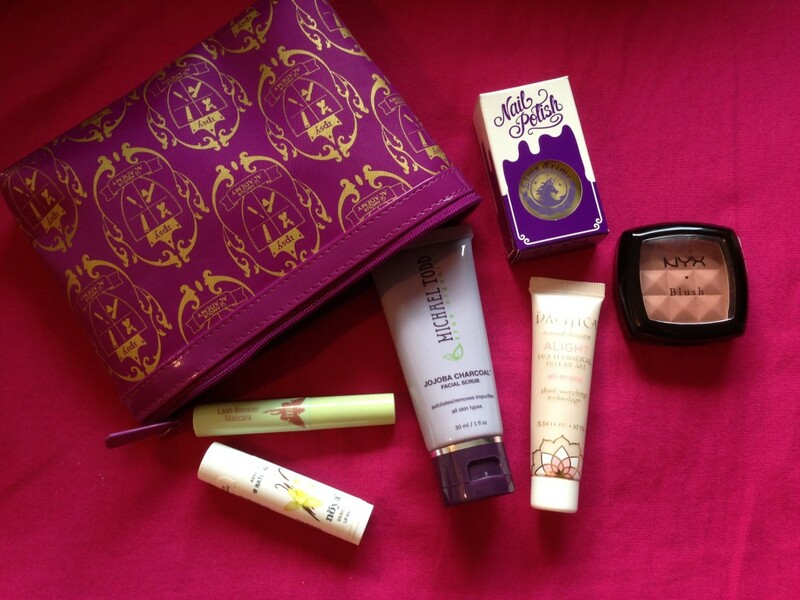 I love, love, love the bag itself this month, but let’s get a bit more up close and personal with the actual products. I’ll go left to right, with the silver eyeliner up first. 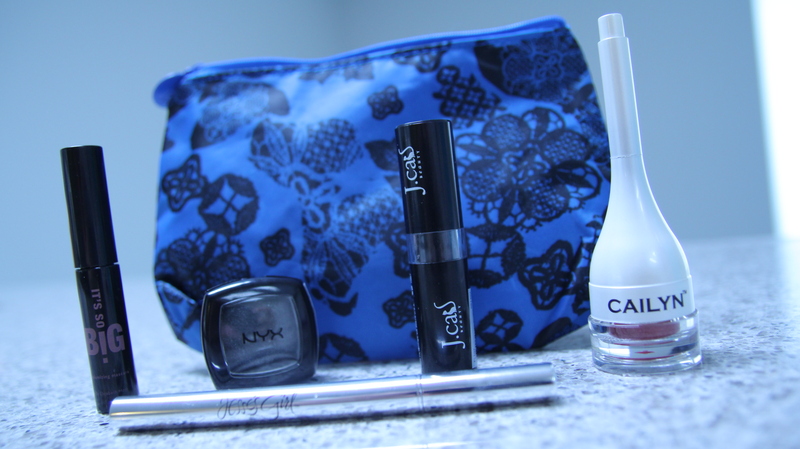 Jesse’s Girl Liquid Eyeliner: I think this is my favorite product this month. The eyeliner is black, it’s got a super fine tip, and it goes on extremely smoothly. I am a huge fan of the Kat Von D liquid eyeliner of the same variety, and this was a pretty identical dupe. At $6.99, I will absolutely be buying this again. It’s So Big Volumizing Mascara: We got black mascara in last month’s bag as well as this month’s, and I’m of the mentality that most mascara is pretty much the same. I think I liked last month’s Pixi mascara better than this one – it claims to be volumizing, but I didn’t really notice a difference. In fact, it came out a little clumpy and I didn’t like the shape of the wand. I probably wont use this very much, if at all. NYX eyeshadow in Rock: I’m a little disappointed to have another NYX product in my bag two months in a row. I’m not saying I don’t like NYX products, but I already have a bunch of them, they’re cheap, and I can get them myself at a drugstore. I like Ipsy for being introduced to new products and brands, and NYX feels very much like filler. That being said; it’s a nice color, but one I already have quite a few variations of in my collection. J.Cat Beauty Fantabulous Lipstick in Honeycrisp: So, I wasn’t very excited when I first looked at this lipstick, because it’s a pretty plain, neutral color. I sort of feel like you really only need one neutral color of lipstick, you know? But when I opened this and gave it a try, I had to eat my words. It doesn’t look like much, but this lipstick smells delicious. It’s a combination of honey, butterscotch, and other amazing fall-inspired scents. I’m gonna be straight – it’s sort of like rubbing butterbeer on your lips. So, I’m in. I love it. Cailyn Tinted Lip Balm in Big Apple: Again, I’m sort of a naysayer when it comes to lip products. I hate lip gloss, I’m not the biggest fan of lipstick – but lip balm, I’ve found recently, is my jam. This product has really funky packaging, but I loved it. It’s a super pigmented red color, that works surprisingly well with my skin tone. I usually avoid reds because I feel like it sort of brings out the redness in my skin, but this one is just lovely. The brush applicator is new to me, but I really enjoyed it. The only downside is that when you take it apart it has three pieces (which can be a bit awkward on the go) but other than that, this is a great, fun lip balm. I’d say this was a pretty good month. There’s always good and bad and mediocre things in every bag, but I think when you know you’ll keep using at least 2-3 of the items, that’s not a bad haul. 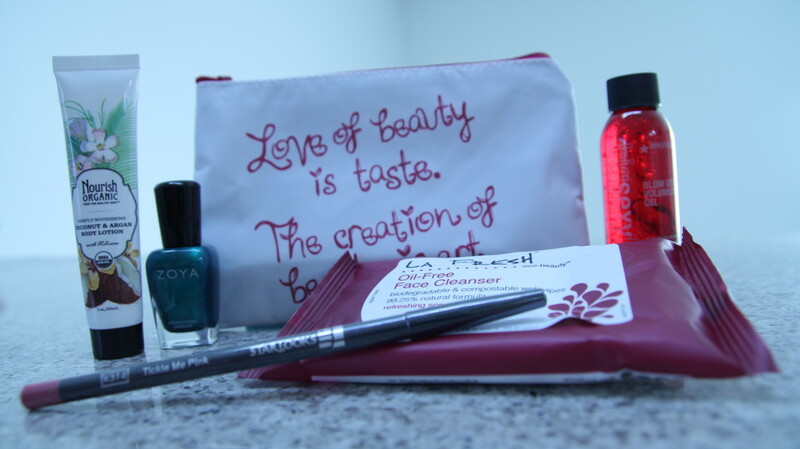 As always, if you’re intrigued by Ipsy and want to sign up, you can here! If you use my referral link, it gets me special Ipsy points that can be redeemed for additional products. 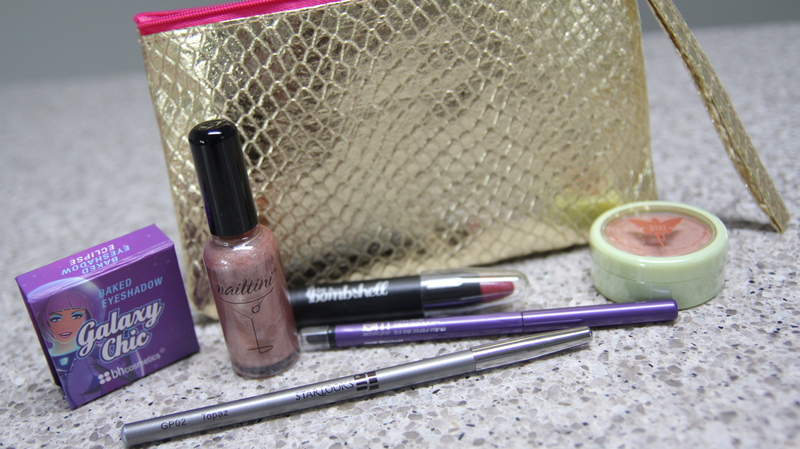 I got my Ipsy Glam Bag for August, and I love it! I used every single product in my routine today, so figured I would do a write up/review of them, now that I’ve developed my opinions. First is the Vanilla lip balm from Noya. I’m not going to lie, this was pretty much just lip balm. Maybe I’m a naive lip balm consumer, but it’s all sort of the same to me. I tend to buy more fruity flavors on my own, but I was pleasantly surprised by this vanilla one. I will definitely toss it in my purse and keep using it. Also, a plus, Noya doesn’t test on animals or use preservatives. Hooray! Next was Lash Booster Mascara from Pixi. I only recently discovered Pixi brand cosmetics, at VidCon actually – Subblime was giving them out to people! I have been very impressed with everything I’ve tried from Pixi so far, and this mascara was no exception. In fact, I think this was my favorite product in this month’s bag. I have really thin eyelashes, but this lash booster mascara made them look fuller than I’ve ever seen them! Will definitely buy again. I really enjoy trying new facial products, so I was excited to try the Jojoba Charcoal Facial Scrub by Michael Todd True Organics. Right away it kind of freaked me out – the charcoal in the formula makes the scrub itself black – which is a scary thing to rub on your face! It was extremely gentle though, for an exfoliant. Which I really appreciate, as my skin is sensitive and acne prone. I’ll be interested to see if I notice a difference at all in my skin over time, but it feels lovely today. Moving on, next was the All-In-One Multi-Mineral BB Cream by Pacifica. I’m a little wary of BB Creams (since my skin is so temperamental) but I’ll try anything once. This claimed to be color matching, but it was a little dark for my skin. Also, the tube barely had anything in it, so it was kind of tough to get a good sampling out of it. I’m sure this product is decent, but I’ll probably stick with my current face products. The final product from this bag was a NYX Blush in Espresso. I wasn’t quite as excited about this one, because I already own a lot of NYX products. I often buy more coral type hues for blush though, so it’s kind of nice to add a more brown tone to my collection. It’s not bad, but again, it’s NYX. Nothing new. I also got that adorable unicorn themed nail polish in Lime Crime for referring at least two people last month. Thanks guys! If you’re interested in joining Ipsy and getting fun products each month, it’s only $10 and I think it’s totally worth it.